Unlike milk and dark chocolate, white chocolate does not contain cocoa solids – instead, it is made from cocoa butter, sugar and milk solids. This lack of cocoa solids can make white chocolate difficult to work with when baking as it is liable to burn, but a little extra care is worthwhile for this surprisingly versatile ingredient. White chocolate is a wonderful carrier of flavours and can be paired with a range of flavours and ingredients, from strawberries to scallops. Look out for white chocolates made with natural (not deoderised) cocoa butter and without vanilla, as this can overpower the other flavours in your dish. Keep an eye on the sugar content, too – if it is high, you may need to adjust your recipe to ensure it's not too sweet. 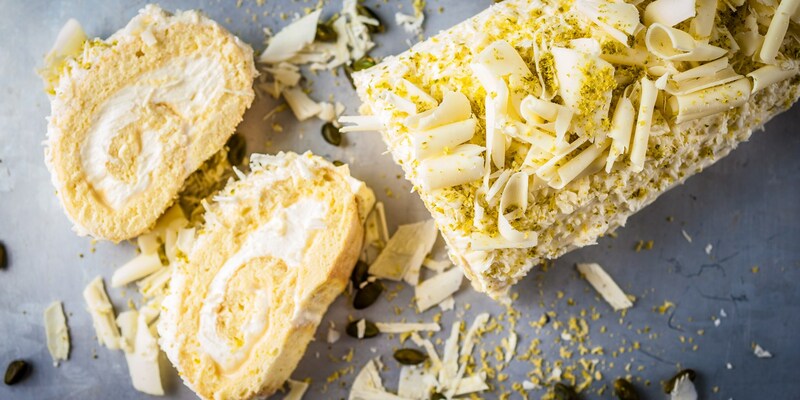 It's worth having a go at the selection of indulgent white chocolate recipes seen in this collection, such as Martin Wishart's White chocolate mousse with strawberries, Alan Murchison's White chocolate panna cotta with honeycomb or this simple White chocolate fudge recipe from Phil Carnegie.